TODAY! 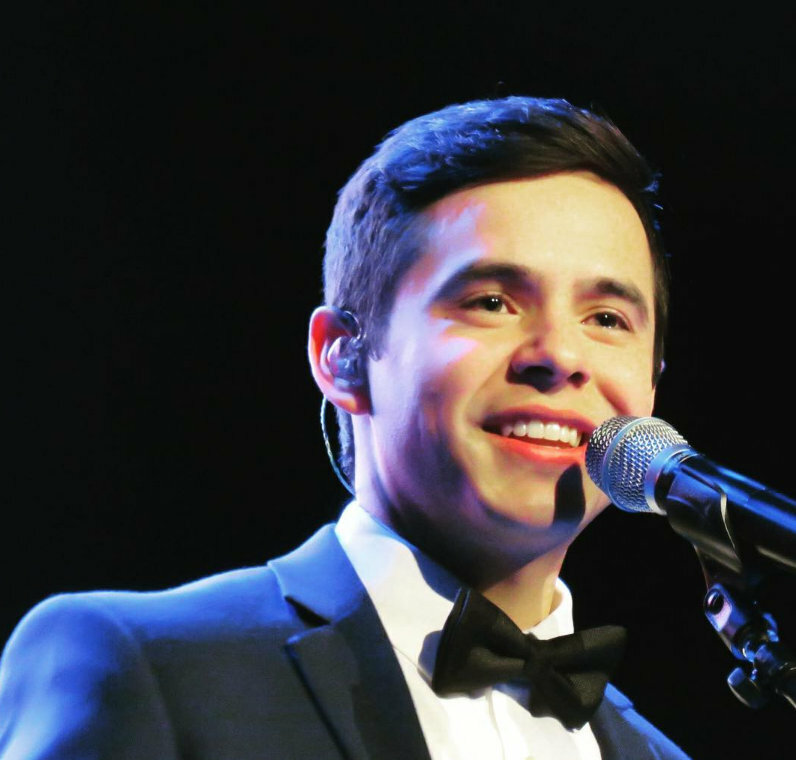 David Archuleta Sold-Out Concert at the Stephens Center ISU, Pocatello, Idaho! It is a beautiful Theater. Here’s Shelley’s link to her youtubes for the rest. Hoping for periscope, videos, pictures and anything else that may pop up! 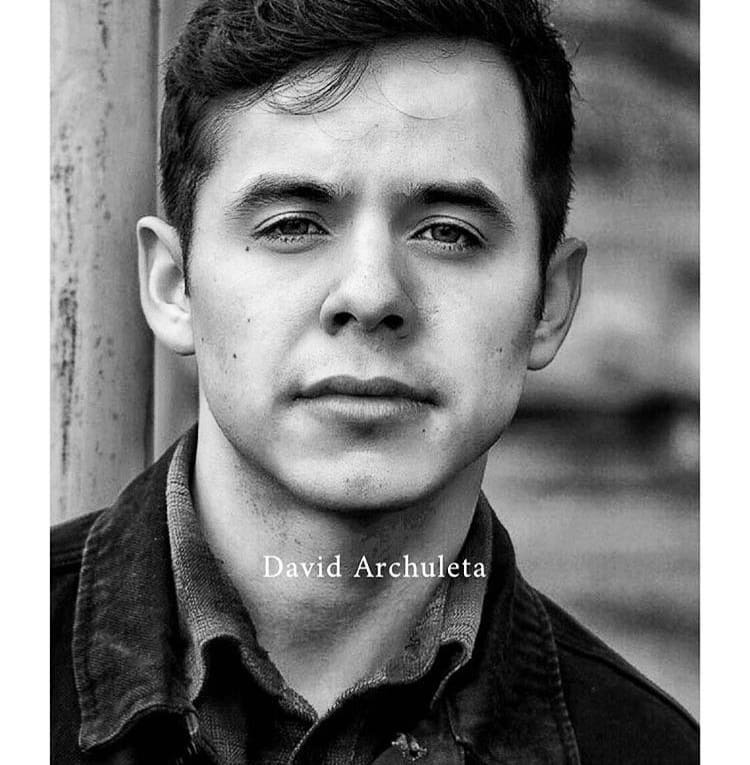 This entry was posted on Tuesday, December 15, 2015 at 1:59 PM	and is filed under @DavidArchie, Appreciation, concerts, David Archuleta, fandom, music, The Voice, Uncategorized. 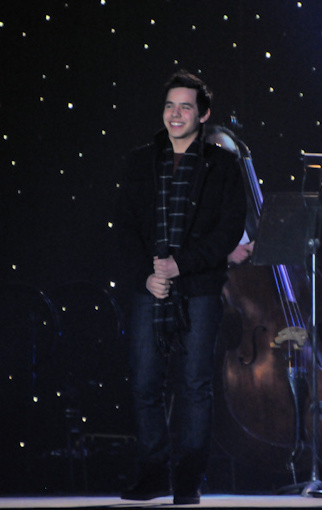 Tagged: CHRISTMAS, David Archuleta, David Archuleta rocks! 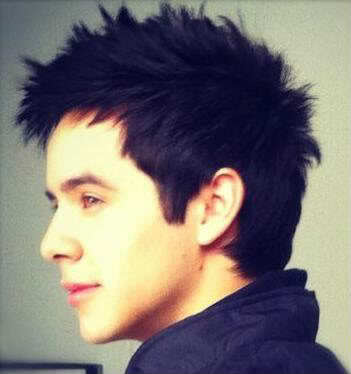 :), Gotta love him, Idaho, Jazzy, Last Christmas, Mr. Christmas, Pocatello, Stevens Center ISU, the Voice. You can follow any responses to this entry through the RSS 2.0 feed. You can leave a response, or trackback from your own site. 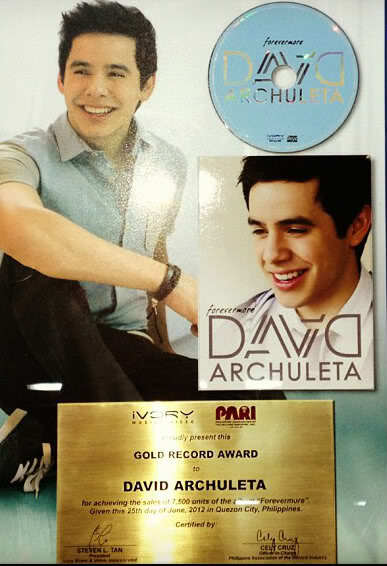 Wish I was one of those fans attending today’s David concert! Beautiful venue, indeed! I will be hoping and praying for pictures and possible videos! 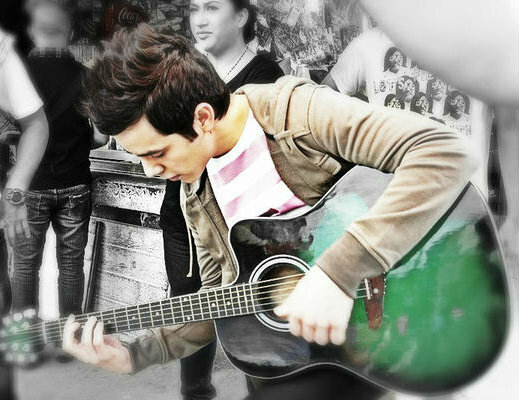 Angelofdja, I so wish to be one of those fans too! But we live vicariously through those that will be in attendance. Taterzen is on her way!!! David maybe be going to Argentina according to this tweet. 2 great Christmas shows in Layton! On the way to Pocatello, Idaho for one more! Plz check out my dear friends new video- it's truly special!! 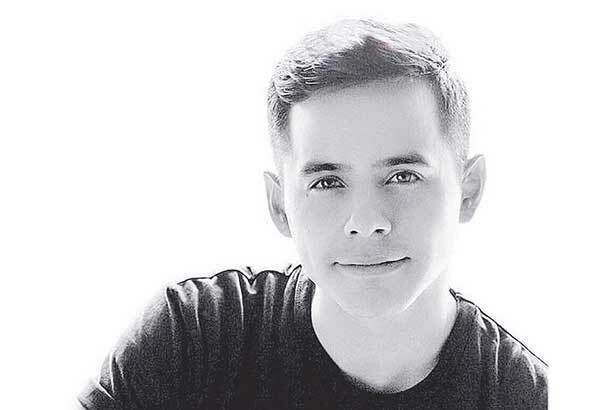 @DavidArchie https://t.co/ytEdgE0VWR"
Love Lady V’s love for David. 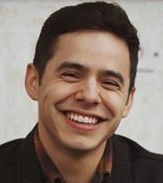 Free David Tickets for March 11th! 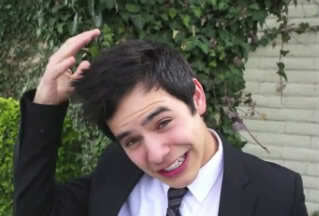 Birthday or Christmas presents for David you have time! @FODFansofDavid Would love to have everything (Christmas and Birthday) in by the 21st so I can make sure to get it to him! I love the birds chirping in the video as David and Nathan walk up the steps to the recording studio. We’ve been blessed with so much snow. Travel to Idaho safely eveyone. Wish I were coming with. Bless you all who share with us. Can’t wait. The views have slowed but not stopped. I believe this would be perfect for a live national TV performance. Not to bad for a fast project with next to none promo. I’m sure they didn’t expect it. But there is something so perfect with it, it’s touching souls. Wishing some very safe travels for those attending the Pocatello show!!! This was on FB today. I have to share it with you. It’s from Saturday evening and has the ‘thank you’ from the man in the audience. The audio is really pretty good on OHN. I will do caps and shout….. “HERE’S TO MORE TO COME FOR THE NEW YEAR!!! !” And that is straight from the mouth of The Voice!!!! I wasn’t able to get my “Thank You” to open, so I finally had to delete it. What did he say? Lynnella, took me a couple of tries myself but finally got it.I would tell you how,but I forgot what I did lol!.. Bluesky wow thanks! I probably wouldn’t have checked my email again ’til the morning. and Tawna,Having him looking into the camera and saying “HERE’S TO MORE TO COME FOR THE NEW YEAR!!! !” was wonderful. yayyyyyyy! Heard the Thank You loud and clear from the man at the end of OHN. “HERE’S TO MORE TO COME FOR THE NEW YEAR!!! !” Perfect!! Sounds like a great year coming up! So exciting! You will need to install Quicktime to play it. It’s an mov file. Later today when I get home, I will convert the file to mp4 and put in the Candy Jar. Go to the link in your email . Click that link and save the file. It should open in Quicktime movie player. If you don’t have that installed, search Google and get it. My internet was down since early evening. Sorry! I’ll post what i can now before I go to work. Shelley was there and took some stunning photos. Finally got it to open in iTunes of all things. Sky, I’m right there with you, like the blind leading the blind. It was in my downloads, and it asked if I wanted to open it with something already on my computer, so I clicked on that and it opened in the iTunes videos. Crazy. What I’ve noticed about him is he’s so calm and composed when he talks. No more giggling. He’s now a mature man. Good to see. Can’t wait for that new album. Merry Christmas to everyone on here, especially the admins. Thank you for all you do. Curious about “Nylon” written after songs on playlist? Thanks Musician at Heart, I wondered what that meant. And it’s visible in person, a mature man indeed. And next time I see Shelley I am going to bear hug her! So thankful. From Leo, The Prayer producer on instagram. It is pretty amazing how this has taken a life of it’s own. And obviously very unexpected. I haven been following the 12 days of Christmas videos offered on Mormon.org The one listed for day 14 is this one by Devon Supertramp. I think it is wonderful and in the true spirit of Christmas. I hope you don’t mind that I share it here. Gracias Dja por las noticias. Perdón por escribir en español, pero estoy en las nubes. Recién hable con Dja y acabo de enterarme que quizás David viene a Argentina ayyyyyyyyyyyyyyyyy. Comodoro Rivadavia, es la ciudad donde se realizara el evento mormon está en la provincia de Chubut, es una ciudad que queda sobre el oceano Atlantico. y es muy hermosa. Es un ciudad que queda al sur de mi pais, muy muy lejos de Buenos Aires y muy cara. Pero David vale la pena. ok, sigo buscando mas noticias al respecto. Give thanks for the news. Sorry to write in Spanish, but I’m in the clouds. 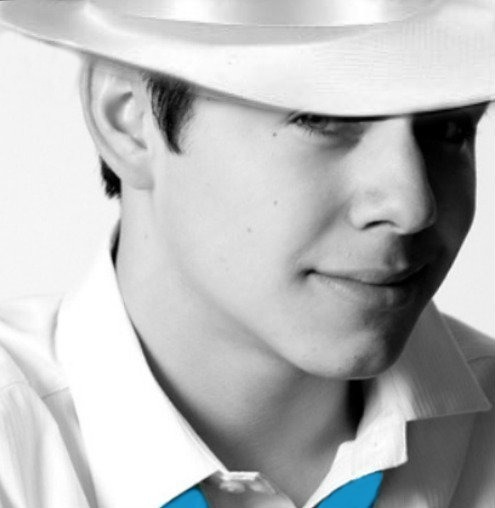 Just talk to Dja and I just learned that David might come to Argentina ayyyyyyyyyyyyyyyyy. Comodoro Rivadavia, is the city where the event will take place mormon is in the province of Chubut, is a city that lies on the Atlantic Ocean. and it is very beautiful. It is a city that lies to the south of my country, very far from Buenos Aires and very expensive. ok, I’m looking for more news about it. 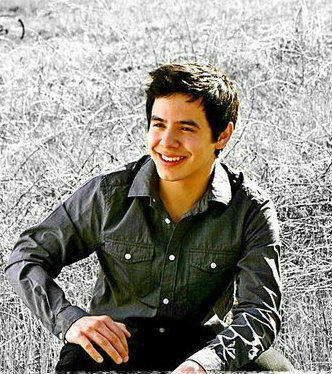 I think we will be getting more David Archuleta via youtube and other social media. Not only did @fullscreen welcome him to the family, David also retweeted the tweet!!!! Fullscreen, Inc. is a global network of content creators and brands on YouTube owned by a joint venture of AT&T and The Chernin Group. It is one of the largest independent YouTube network based on unique viewers according to comScore Video Metrix. Fullscreen offers tools, services, and consultation to its members. Yeousch was the largest sub network within the Fullscreen network, but eventually got shut down. As of September 22, 2014, Fullscreen, Inc. operates as a subsidiary of Otter Media. The Fullscreen network generates more than 7 billion monthly video views and has a subscriber number of about 100 million. Fullscreen employs more than 150 employees and is based in Culver City, California with offices in New York City and Atlanta. In addition to the network, Fullscreen also provides an end-to-end channel management and optimization service for brands and media companies to grow their presence on YouTube. The premium service, which includes a full suite of software tools and consultation on programming strategy, is designed to build audience and engagement around clients’ video content. Fullscreen’s current clients include NBCUniversal, FOX, FremantleMedia, JASH, Rooster Teeth, ScrewAttack, WIGS and more. Very good to me, as well! He is so good on videos. Best of both worlds is for him to have someone take the videos and then post them so that he gets the clicks and adv. $$ and WE get ….. him. Without having to feel guilty… .plus the vids would be (maybe!) better than ever!!! It can never mean a lack of concert goers, since he is always amazing and his brand is to do everything different every time. Since he needs no auto tune and photos great at any time or angle, he is a videographers dream. Thanks, DA. You are your own best advertisement. 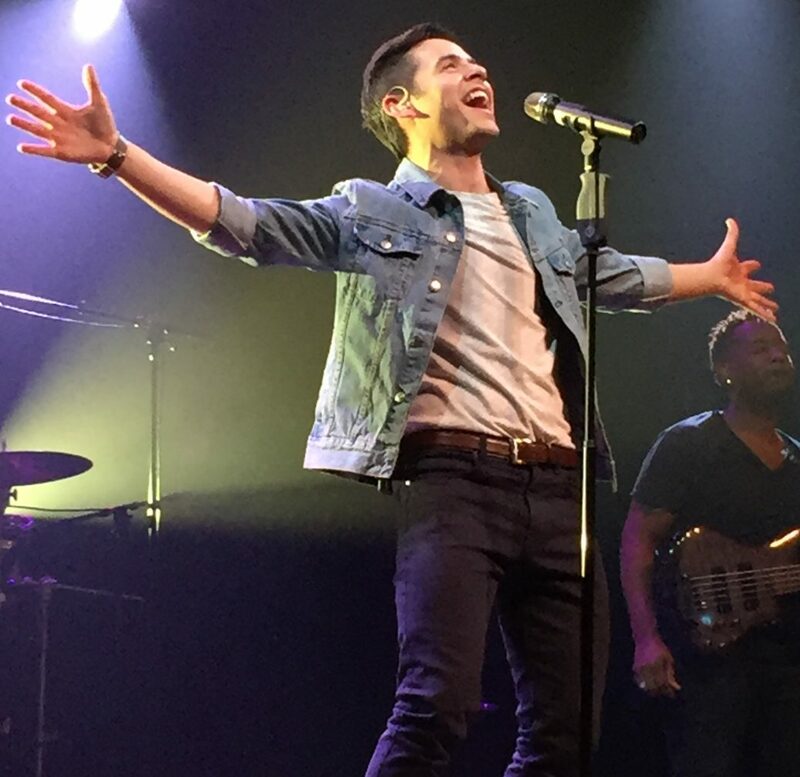 The rest of Pocatello videos from Shelley! This morning I left my hotel room to try the comp breakfast. The hotel staff were all abuzz in a corner of the room, checking out someone’s cell phone. 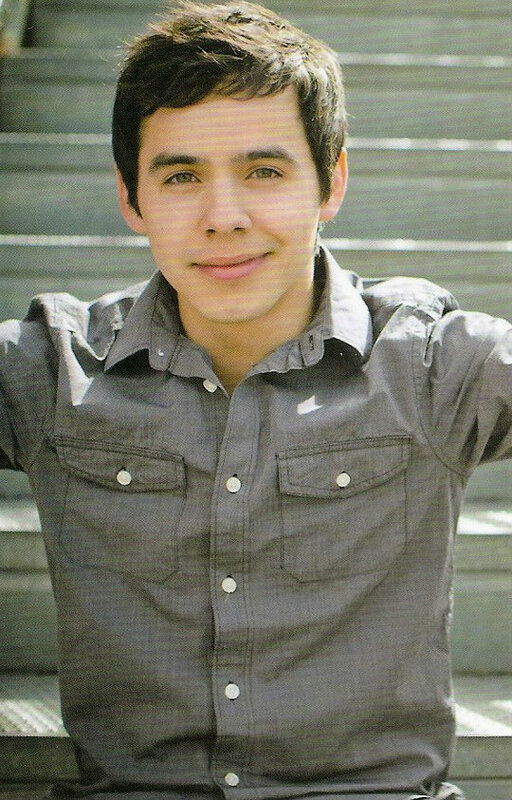 Seems David Archuleta had just left and they had pictures. I am the champion of right place, wrong time. 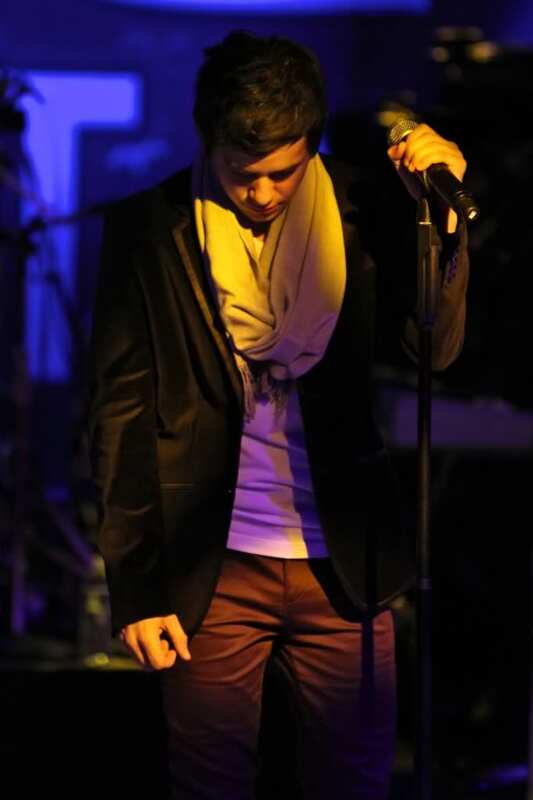 Last night when David took the stage I noticed all the buttons were buttoned. Looking at the other four fellas on stage (two with guitars, one for percussion and a cellist) I realized David was the only one securely buttoned. It occurred to me that David was the only one of them that I would have bought a ticket to see. Perhaps those other guys should start buttoning up. Haha. Just teasing Gladys. In four days I was able to attend 3 performances. Would love to keep that ratio going. March is looking good but distant. 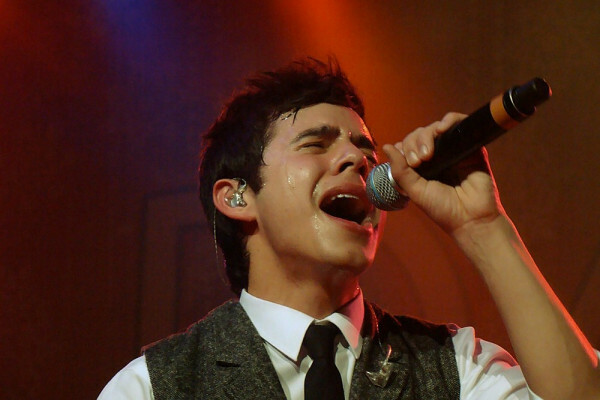 Everybody Hurts is my favorite favorite. This song is so powerful that it often leaves us stunned at the finish. I liked that he followed that song with his solution for difficult times, referring to the Prince of Peace bringing us solace. 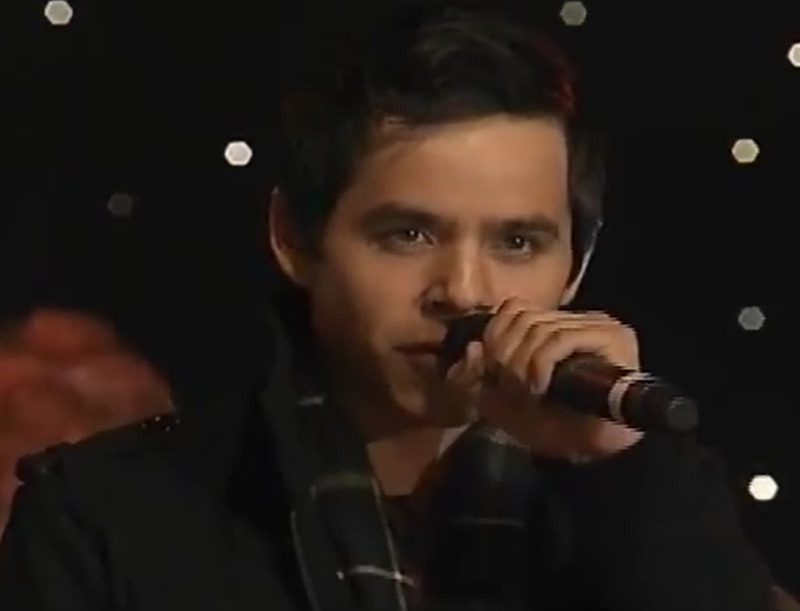 I accept that some people might find this annoying, but it was a Christmas performance and it is his kind of Christmas. Dja, I did give Shelley a big hug and told her how much we loved and appreciated her. She is such a sweetie, and kind of reminds me of David, humble and giving. My companion had only seen David at the Layton show when he was ill. I hadn’t seen her since, but sent her a text to see if she wanted to go back to Layton for the “makeup” show. Ten minutes later the text came “yes! yes! yes!” and an immediate call. She said she had missed my text and hoped I had not given the ticket to someone else. Her enthusiasm made me feel great. When she heard I had a ticket for Pocatello she asked if she could join me. I think the Greatest Fan title might be on the line here. She blames me taking the time to comb my hair for missing David at breakfast. Dayzee, Oh no! Darn timing! Oh lucky you to have been able to experience this Christmas concerts. I can’t stop watching them over and over lol Thank you for giving Shelley a hug, she is as good as they come, the real deal. “She blames me taking the time to comb my hair for missing David at breakfast.” And a new fan is born! The Prayer continues to get views. Can’t wait for the more in 2016. Djafan… yes! Acceptance. We do all we can to help with that… but like “moms” he seem to listen to us last. However, this latest experience with the Christmas vid (and hopefully he is listening to Nathan, who does lots of videos !) has woken him up a bit. I mean… some fans risk being taken out of the venue just to film him. Wake up, DA and smell the digital footprint!!! I am also loving the slightly longer sideburns and Superman upsweep to the hair. Hope everyone has come back to earth by now! Just watching the videos lifted me up about 2 ft! 🙂 Thanks a million, a million times more for all the videos and photos! OMGosh, that rendition of White Christmas! Does anyone have to ask why we love him?? Gladys, here’s hoping he will be coming down that way and you will get to see him again! David with his Trixin hat, Gracie and his cutie pie sister are all good pics! I put DA’s name in as my favorite American Idol! Hope he appears on there for the exposure! That would be another help to bring him back. Tonight I watched the David Motab performance. 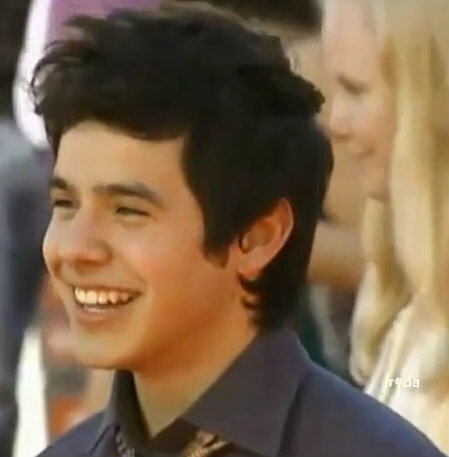 He looks so joyful throughout the entire program. I remembered when I was leaving that show there was a young girl about six ahead of me and she told her father “David is so sparkly”. I couldn’t say it any better. So hoping to have another chance to see him with Motab. The audience members close to me in Pocatello were very different from those I have seen before. None had seen him since his mission and when he told us he would sing a new song (Numb) it was obvious that this song was truly new for them. There were several teenage girls in front of me and when he reached the first “I don’t want to feel numb” they were stunned. Watching them be amazed with the rest of the song was great for me. The mother who had brought them all got out her camera and took pictures of the girls being charmed by David. She looked back at me and mouthed “Wow”. That was the best Numb I have heard. but couldn’t find it with Shelley’s videos. I agree with Bluesky on the hair. 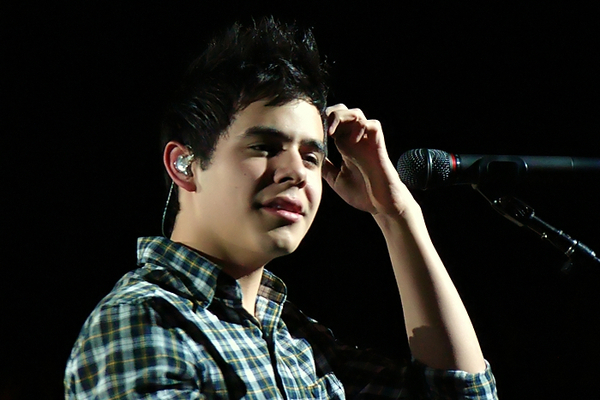 He had a new gesture of brushing his hair back several times. Maybe not comfortable with the length yet. Dayzee, I’m so enjoying all these tidbits, please keep sharing as they come to you! I love the reaction to Numb. It was my grandkids ages 14 to 19 favorite song in St George. I love the song and can’t wait to hear what the recorded version is like. And the hair, yep, it’s pretty fabulous. 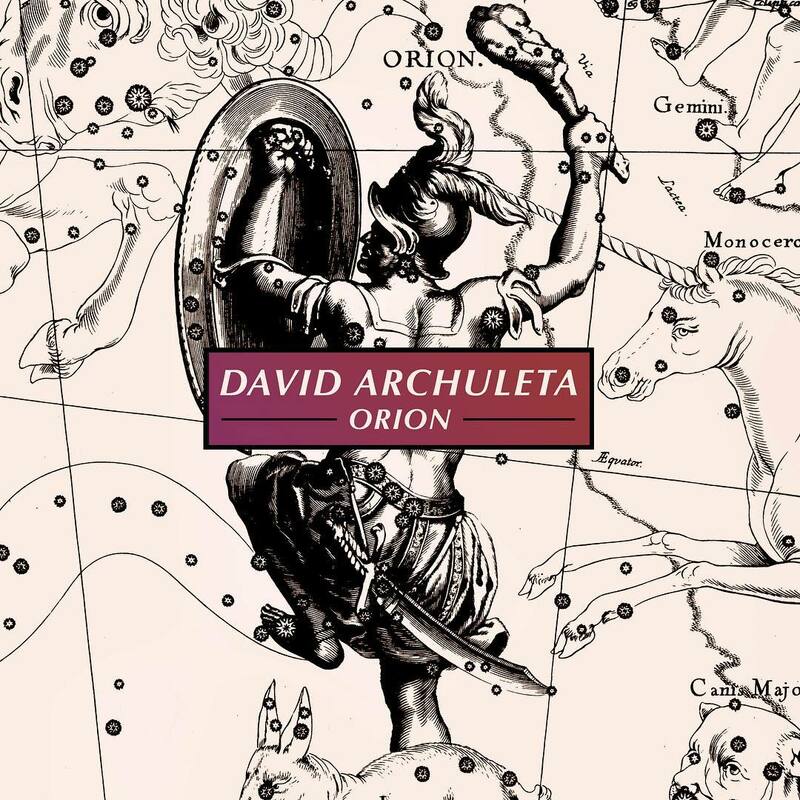 Mundo Archuleta uploaded some great videos! I’m not religious in the standard way, and tend to avoid anything overly religious. 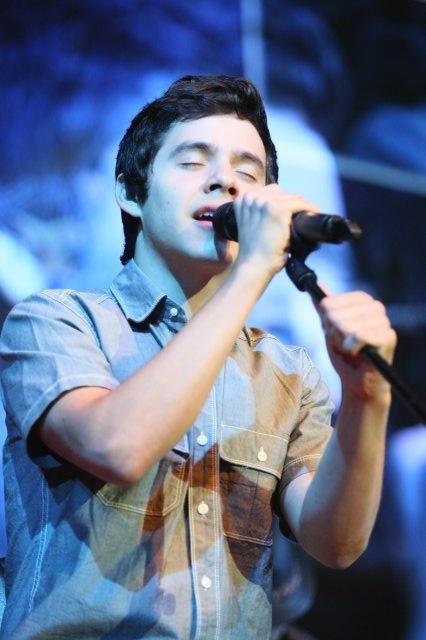 However, I cannot help but feel that there is something so incredibly holy about the human voice in its splendor. 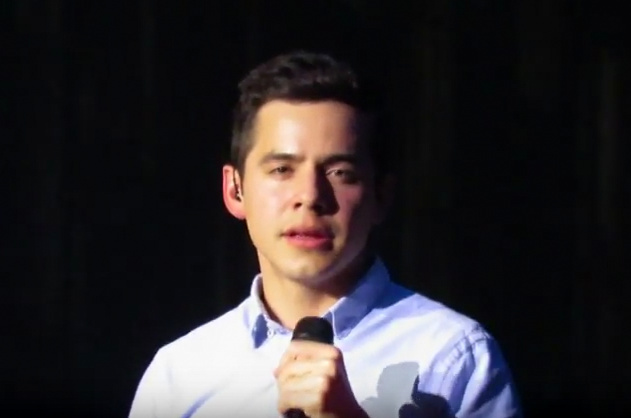 Here is David Archuleta and Nathan Pacheco with one of the most beautiful renditions of this song I have ever been blessed enough to hear. I find myself playing this video two or three times a day. Dja, thanks for all these gifts. 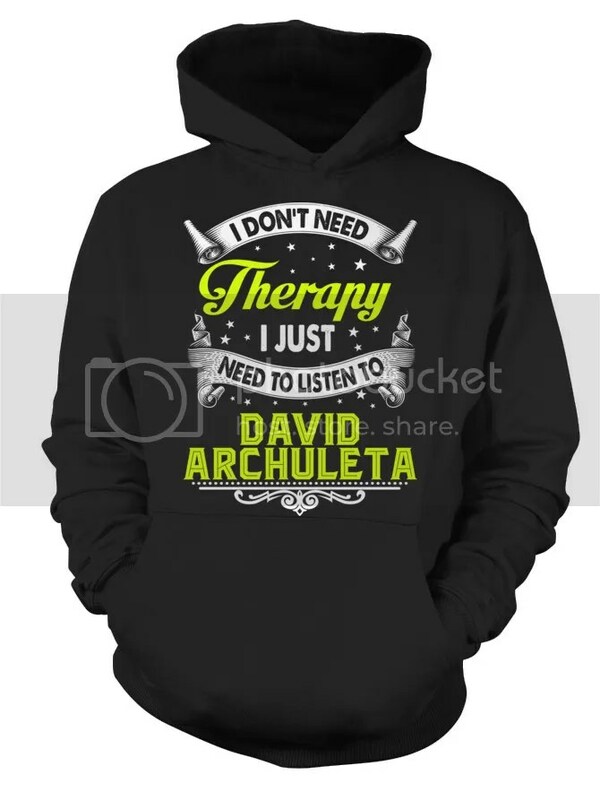 I have purchased a hoodie, listened to The Prayer a few more times and received a “thank you” from David. Thank you! Life is good! David wrote a little more on his instagram. 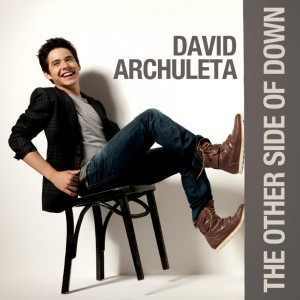 David is doing it his way, his timing and he’s happy and that makes me happy. How about a fun and challenging Saturday puzzle? No David, but sure to make you smile. Especially if you have pets. Thanks for the extra puzzle. That cat looks guilty as charged. Cute puzzle, Abs…I also follow them on FB and they are so cute.